The agriculture council is planning to upgrade Taiwan’s pig industry and set up special zones for raising pigs. That's amid fears of the industry being impacted by an outbreak of African swine fever in China. Already 25 out of China’s 34 provinces, cities and regions have reported 109 cases of the disease. On Monday, Taiwan’s agriculture council said it is not optimistic about China’s claim that African swine fever cases have already peaked. China reported to the World Organisation for Animal Health (OIE) that there has only been one case in February. Taiwan’s agriculture council says the situation is unclear, and three to four months of observation is needed. Taiwan's pork industry is a NT$75 billion dollar industry affecting NT$150 billion in household income in Taiwan. An outbreak of African swine fever would lead to major losses in the pig industry and rising consumer prices. In 1997, an outbreak of foot and mouth disease affected 24% of pig farms in Taiwan. 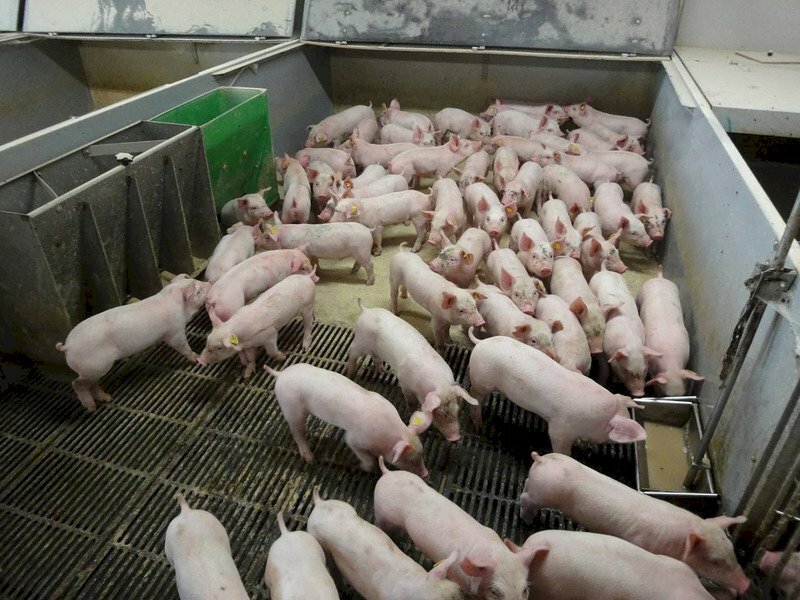 Right now there are over 7,000 pig farms raising over 5.4 million pigs. Agriculture official Chiang Wen-chuan said that the industry faces three major challenges: disease prevention, the need for stricter regulations to meet environmental standards, and changes in tariffs if Taiwan joins the Comprehensive and Progressive Agreement for Trans-Pacific Partnership (CPTPP). The council is working on a two-year plan to have farmers raise their hogs in special zones and to modernize existing farms. It is also dealing with the risk of using kitchen waste as feed which could lead to the spread of infectious diseases. Smaller farms which usually use kitchen waste are now switching to pig feed or steamed kitchen waste. Heating the food waste at high temperatures can prevent the spread of infectious diseases. There are also plans for midsize farms to move to specialized zones and for large farms to be renovated. The modernized pig farms will have standardized regulations for disease prevention, high quality meat production, animal rights protection, and export marketing.